1. Read: Go to your local public library & check out a book of your choice. You may want to check out a few just in case you can’t make it back within a few days or week in order to exchange & check out other books. 3. DIY (Do It Yourself): try recreating, or putting something together rather than asking your parents to buy it. If you need ideas, search on Youtube for videos that will give you step-by-step. 5. Research Colleges: This can go for all age groups. You can never start too soon. Use your time wisely when you’re on the Internet. You can request more information be sent to your house regarding the college you may want to attend in the future. Or you can make a pros & cons list of schools you’re looking at. 6. Look For a Mentor: Look for someone that inspires you, and can guide you with your goals. It’s usually someone that has achieved something you want to achieve, has knowledge in something you want to do. This person can give you advice, listens to you, & prep you for different things & your cheerleader! 7. Give Back: Community service. Find a program or organization where you can contribute your time to. If your church has a Clothes Closet-Food Bank for those who are in need in your community, volunteer there. You can also check to see if there’s a local Boys & Girls Club located near you. Or search on Facebook (which seems like the most popular place) to search for local orgs/programs in your area (big or small). 8. Scavenger Hunt: You can do this with friends , family, siblings or solo. You can make a list of things for a group to look around the house & outside for those items. If it’s a solo hunt, you can look online for a list of items so that you could search for them in your area/house. 9. Sleep Over: Ask your parents if you could have a small sleep over with a few of your friends that you’re close to. Use that time to catch up & bond & stay up late. 10.Write: If you don’t have a diary/journal start one. If you have one, start writing again. About anything, everything. Writing about how you feel, goals, your day allows you to make be aware of how YOU feel, and possibly communicate better with others. What advice can you give our youth? Share your response below in the comment section. IS LOOKING FOR COLLEGE STUDENTS, GRADUATES, & YOUTH ADVOCATES TO CONTRIBUTE TO OUR BLOG. 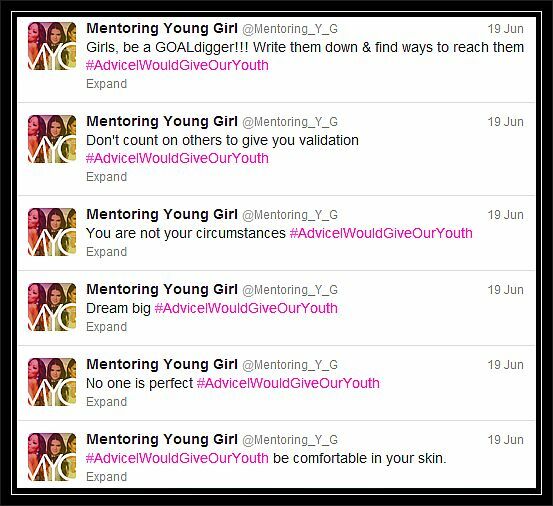 AS WELL AS TOPICS THAT YOUNG GIRLS CAN RELATE TO & GET USEFUL INFORMATION. We would like to thank EVERYONE who helped made this awesome event a success! We were super thankful for the women that reached out to us to donate & help in some kind of way. Thank you for believing in us & our vision!